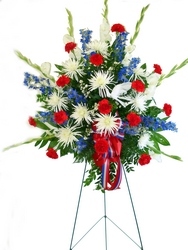 Selections that are appropriate for the funeral home, church, graveside, or wherever funeral services are being held. 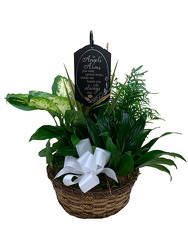 Thoughtful gifts to express your heartfelt sympathy that can be delivered to a loved one's home or office. 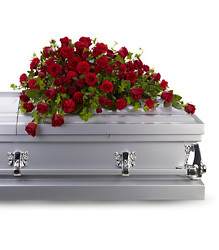 Floral arrangements that are most commonly selected by the family of the deceased. 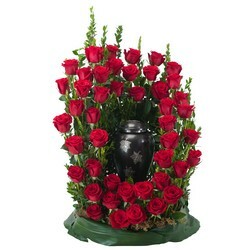 Flower arrangements for cremation services and home delivery. Sympathy Plants available for delivery. Are you looking for a specific type of sympathy arrangement? We offer a variety of sympathy tributes. Below you'll find our sympathy flowers, plants and other selections organized by type. Standing Sprays... A variety of traditional to contemporary sprays, crosses and wreaths. Sympathy Table Baskets... A basket of fresh flowers arranged in various styles and sizes. Also included are silk arrangements. Sympathy Maches... A traditional design that remains through time as a favored selection. Sympathy Vases... Simple elegance of flowers in classic carnations to tropicals and high style. Plants & Dish Gardens... The simple, relaxed nature of dish gardens, green plants and blooming tributes tenderly express sympathies. They offer a living memorial after the services. For the Home... The presence of flowers, fruit or snack baskets at home is equally moving in the midst of grief. Unique designs such as these featured send emotional support to the family. Unique Expressions... Designs that take flowers a step further, with special added meaning. Some are keepsakes, intended for loved ones. Below is a selected grouping of items that are best suited for family members. Casket Sprays... This series of casket sprays display seasonal styles, that meets the needs of different tastes and budgets. Casket Pieces... Variations of a heart, cross or pillow express love and affection. All selections are designed with everlasting silk flowers. Standing Pieces... Easel designs can be styled in a variety of ways. Including hearts, crosses, wreathes, pillow and traditional sprays.